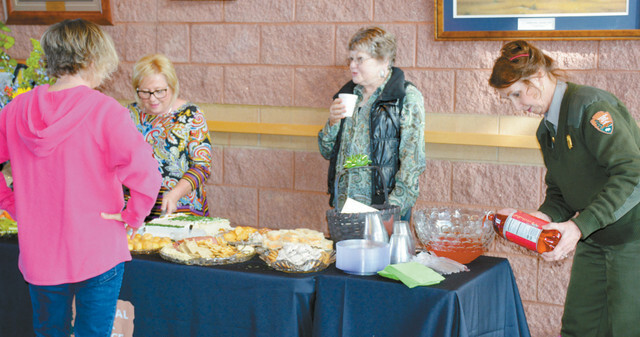 Sososis Club members Jan Bailey & Sue Pearson serving cake, goodies & punch. RETIRING…Kathryn Harrison, Park Ranger & Education Coordinator is honored at a Retirement Reception. Kathryn has been with the National Park Service since 1000 and has been at Washita Battlefield National Historic Site since November 2008. NextRuby McFarland – Celebrating 105 Years!